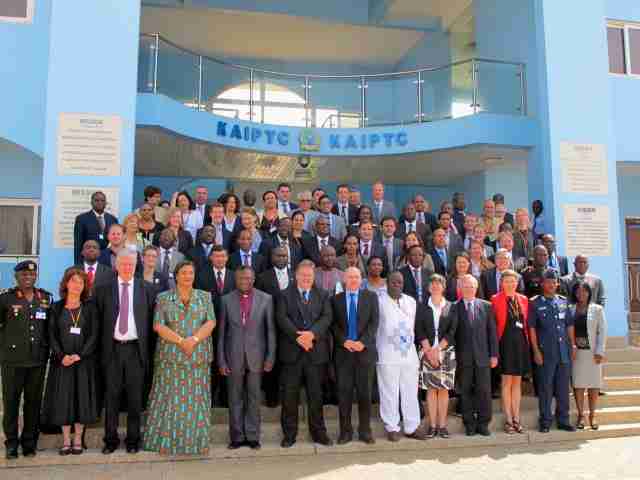 New York, June 18, 2013 – On June 11th and 12th, 2013, AIPR Executive Director Tibi Galis attended the Meeting of the Global Network of National R2P Focal Points, co-organized by the Ghanaian and Danish governments, the Global Centre for the Responsibility to Protect, and the Kofi Annan International Peacekeeping Training Centre in Accra. With a theme of “Preventing Atrocities: Capacity Building, Networks, and Regional Organizations,” the meeting’s program was designed to encourage national R2P Focal points and senior government representatives to thoroughly discuss national experiences and highlight best practices for strengthening national and international capacity for the prevention of mass atrocity crimes. Additionally, the program featured focused plenary sessions designed to spark discussion on the implementation of R2P, including the role of regional organizations in mass atrocity prevention, the relationship between R2P and human rights, and military and police training. During the Regional Organizations and Efforts to Prevent Mass Atrocities with Special Focus on the Implementation of R2P plenary session, Galis presented the contribution that the Latin American Network for Genocide and Mass Atrocity Prevention brings to institutionalizing mass atrocity prevention within Latin America. The meeting was the first Global Network of National R2P Focal Points to be organized in Africa, and was attended by representatives of over 35 states from 5 continents including Tanzania (Ms. Felista Mushy, Raphael Lemkin Seminar November 2012 alumna), AIPR’s long-standing partner UN OSAPG, and several civil society organizations working in the field.